Britain might currently be going through a separation from Europe politically, but geographically it split from it almost half a million years earlier. According to a paper in Nature Communications, this was caused by water sweeping out of a glacial lake in what is now the North Sea. Unlike previous theories of the process, however, the study claims it took at least two major events to complete the separation. 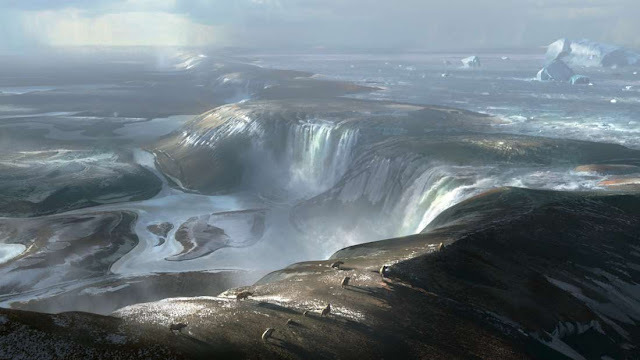 During the ice ages, seas fell as vast quantities of water became locked up in polar ice sheets. This exposed the land beneath the English Channel, along with many other areas that are now shallow seas, so that it was possible to walk from Calais to Dover. History books often imply that all it took for Britain to separate from mainland Europe was rising sea levels, but the truth was more complex. During an interglacial period 450,000 years ago, a ridge of land running from southeast England to France stood above the waves providing a walkway. It was only when this ridge collapsed that separation occurred. This collapse was clearly a significant event – think how different European history might have been without it. Consequently, geologists have puzzled over how and why it occurred. First author Professor Sanjeev Gupta of Imperial College, London, thinks he has answered those questions. Like predecessors, Gupta claims that what is now the southern North Sea filled with water from melting glaciers as the ice sheets retreated. “While it is widely held that initial opening of the Strait was a consequence of spillover of a proglacial lake that existed in the southern North Sea basin … direct evidence for this spillover process has up to now been lacking,” the paper notes. By mapping the sea floor beneath the channel in unprecedented detail, Gupta has revealed the presence of a string of sediment-filled plunge pools at the base of chalk escarpments. He argues these reveal the presence of huge waterfalls that once discharged many times the volume of Niagara Falls. These falls wore the rock away as water rushed from the glacial lake to the North Atlantic. Eventually the ridge collapsed, isolating Britain. Subsequent ice ages saw the seas retreat and Britain connected to the mainland again several times. With the ridge's higher ground gone, however, each time sea levels rose, there was nothing to maintain Britain's geographical connection to the continent. However, a feature of the Channel's seafloor, known as the Lobourg Channel, cross-cuts these pools. 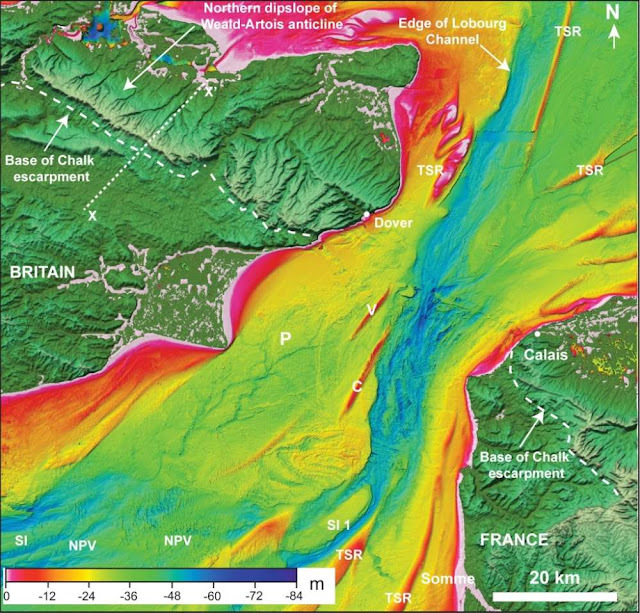 Gupta concluded this could only have occurred if the pools formed and filled with sediments first, before a subsequent catastrophic flood carved the Lobourg Channel, determining that each subsequent melting would isolate Britain again.